We have included some links to important websites that you might want to explore. 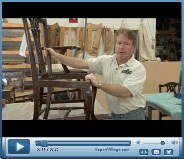 Click on each of the links below to watch Curtis Martin on video as he provides "how-to" guidance for various restoration and repair projects. 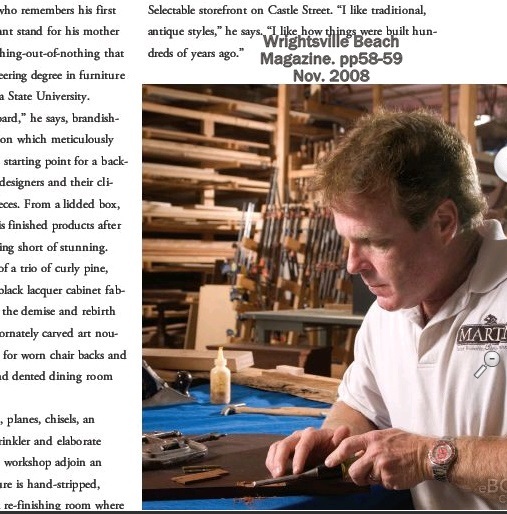 Read about Curtis Martin and his business in a Wrightsville Beach Magazine article. Click here . View an advertisement for our businesses that appeared in the Home Essentials magazine. Click here . Custom rocking chairs built by Jiri Kalina, who works with Martin Custom Woodworking. Click here . 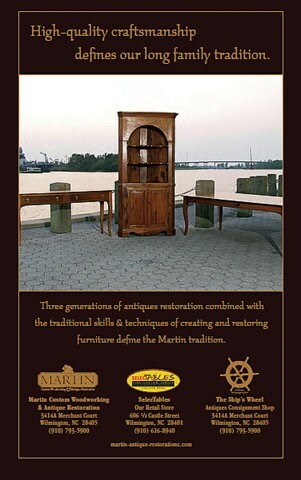 © Martin Custom Woodworking and Antique Restoration, 2004 - 2010. All rights reserved.